A series against the last place Padres was supposed to be a boon for the Phillies’ postseason chances. Three games against rookie starting pitchers backed by a weak lineup was supposed to provide the Phillies with an easy opportunity to pick up three wins, two at the absolute minimum. Friday’s loss was disheartening, but after Aaron Nola pitched the team to victory on Saturday, the Phillies seemed poised to win the series behind Jake Arrieta on Sunday. Instead, the team failed in just about every aspect of the game: Poor pitching, poor hitting, poor fielding, and poor baserunning. Arrieta struggled from the very start. The first two Padres hitters singled, but thanks to a double play, Arrieta was able to limit the damage to one run. In the second inning, the Padres loaded the bases, but Arrieta was again able to pitch out of the jam. In the Padres two wins, Galvis was a combined 4-7, which will assuredly cause the misguided “should of kept” crowd to grow louder. I want to assure you that his performance against the Phillies this season is not representative of his offensive production against every other team he has faced. As for the Phillies’ hitters, they spent most of the day making nondescript rookie starter Joey Lucchesi look like a world beater. 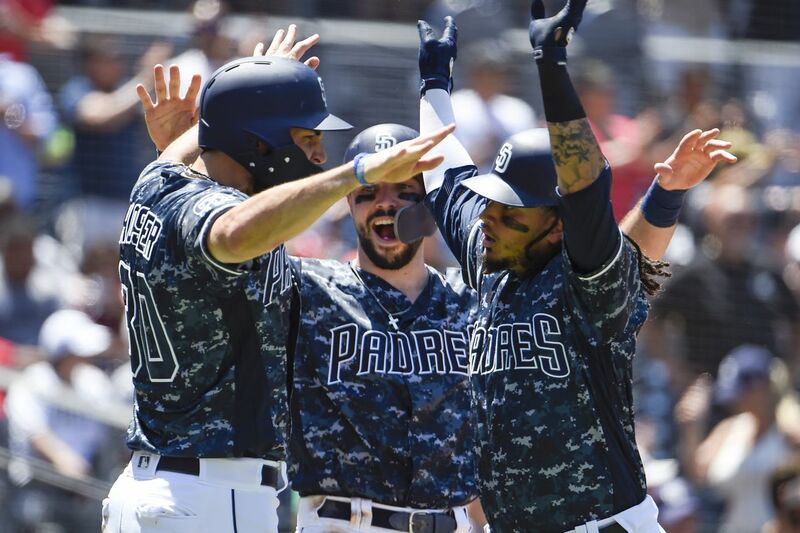 Lucchesi pitched six shutout innings, and when the Phillies finally pushed some runs across in the eighth, it was mostly due to sloppy fielding by the Padres. After Monday’s off day, the Phillies will head back East to take on the Red Sox. The Phillies had better hope that the higher level of competition will prompt them to raise their level of play, because if what we saw this weekend carries over, things could get ugly in a hurry.